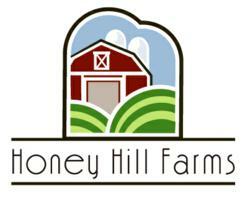 Honey Hill Farms announces Sea Salt Caramel Pretzel Soft-Serve Frozen Yogurt flavor with real Pretzel Droplets and Sea Salt for Sugar Creek Foods’ Honey Hill Farms frozen yogurt shop customers. This is another very unique product for the soft-serve and self-serve frozen yogurt industry. We are constantly testing and designing products for our customers that will separate their shops from all others. Sugar Creek Foods, a privately-held frozen yogurt manufacturer with independently owned and operated end-users throughout the United States, has designed the new Honey Hill Farms flavor Sea Salt Caramel Pretzel containing real pretzel droplets and sea salt, combined with a decadent caramel frozen yogurt base. Sugar Creek, a pioneer in using bulky flavorings such as fruit purees, cookies, flavor droplets, and nuts in its Honey Hill Farms’ frozen soft-serve yogurt products, is incredibly excited about this new flavor. Van Horn and Gunter both predict this will be a top-seller among their end-users. “Sea Salt Caramel Pretzel magically swirls the best of both worlds . . . savory, sweet, and salty flavors, so popular in the culinary world today, with our secret process of adding a unique droplet – pretzels. Adding the bulky flavorings, such as pretzel droplets, like you would find in a traditional hard-pack ice cream, was a challenge to reproduce in a soft-serve product that has to run through a soft-serve machine,” stated Van Horn. “We believe it’s another unique flavor and will surprise the industry just like Rocky Road did last year,” commented Gunter. Sugar Creek is currently testing other indulgent frozen soft-serve yogurt flavors, using the same type bulky flavoring system to round out their new seasonal flavoring offerings. New and exciting flavor selections are part of the key to success in the self-serve frozen yogurt shop business, and Sugar Creek plans to continue to be on the cutting-edge in frozen yogurt development. Last year Sugar Creek introduced Lemon Ice Box Pie, Fizzy Cherry Limeade, Cupcake (with added cream cheese droplets! ), and Tropical Sorbet (blended pineapple, papaya, and key lime), along with Rocky Road (marshmallow and nut droplets added). Sugar Creek has additional new flavor concepts for the summer frozen yogurt season that will complement its 40-plus frozen soft-serve dessert selection. About Sugar Creek Foods International, Inc.